January 3, 2019, New Delhi:2018 was a year of ups and downs for startups. While some large startups were able to raise big investments and others got sold to global giants, most of the startups more or less struggled with making ends meet. The Angel Tax has not made the life of an entrepreneur any easier with many SMEs and startups receiving income tax notices this year. 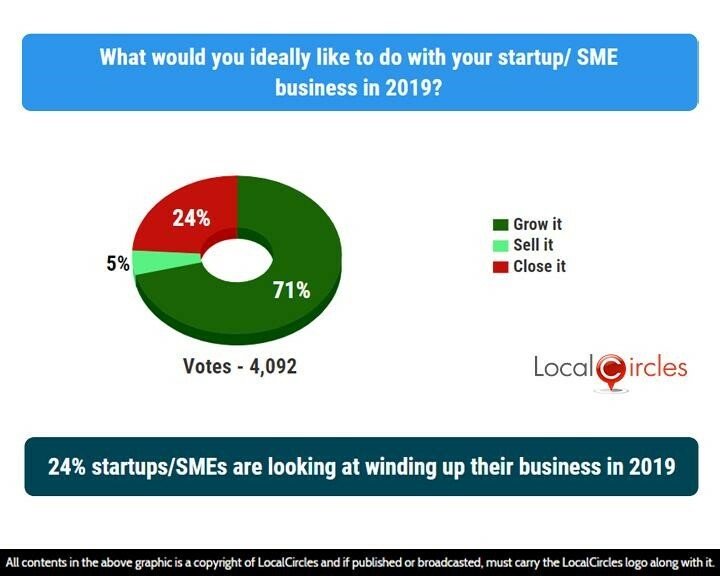 LocalCircles conducted the largest startup/SME survey of the year to check the pulse on how this sector fared in this year. Over 15,000 unique startups, SMEs and entrepreneurs participated in the survey and more than 40,000 responses were received. 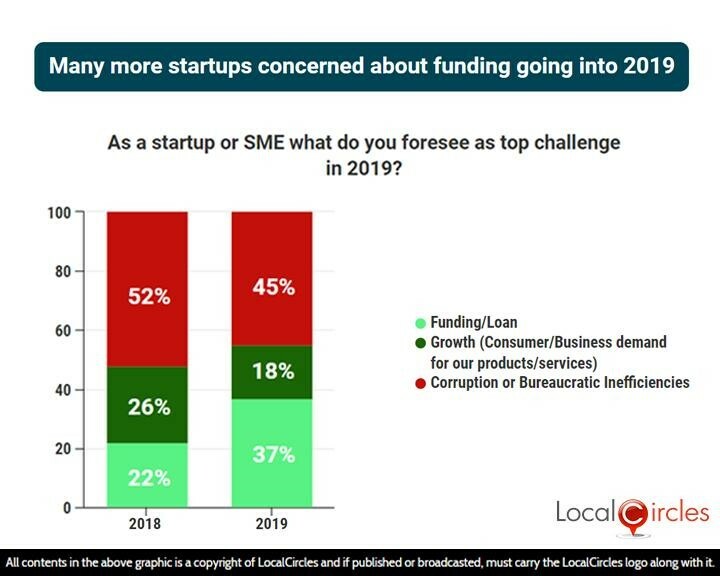 When compared with the last year’s survey results, the situation does not look very bright for startups and SMEs in the country. The first question asked as a startup/SME, what has been their experience with income tax authorities this year. 32% said they had received multiple notices while 6% said they had received 1 notice. 62% said they did not receive any notices. When compared with last year, the numbers are almost the same. 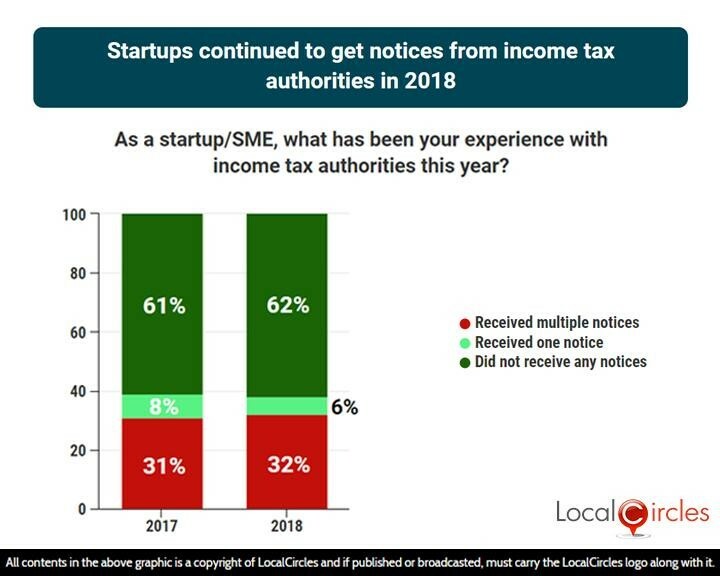 In 2017, 39% startups/SMEs had received at least 1 income tax notice, compared to 38% in 2018. Angel Tax continued to be a key pain point for startups where the assessing officers in many cases reject the valuation method utilised by the startup and instead treat the capital raised as income from other sources thereby raising a tax demand and penalty on the startup. LocalCircles, on behalf of thousands of startups raised the issue with DIPP and CBDT in late December 2018 and though an order was issued to not take coercive measures to recover the demand, assessment orders continue to be issued against startups. 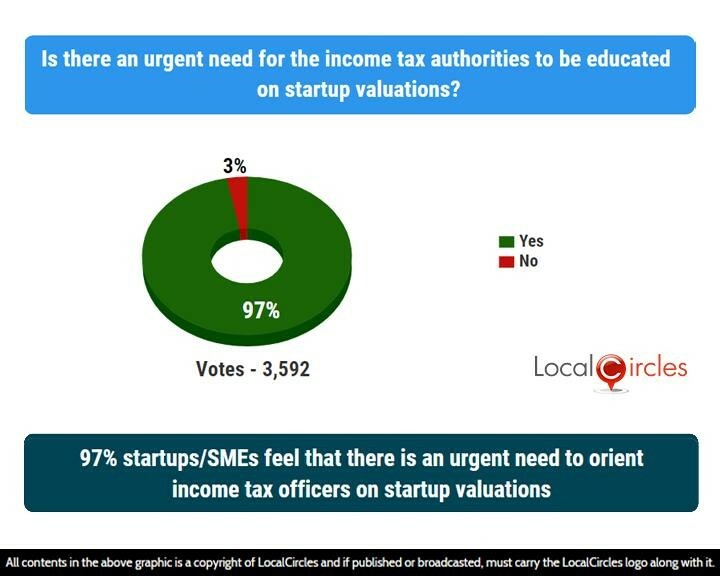 97% respondents in the second poll felt that there was an urgent need for the income tax authorities to be educated on startup valuations. Getting funding still looks like a steep climb for the India based early-stage startups with many of them struggling to find investors with a long-term view. 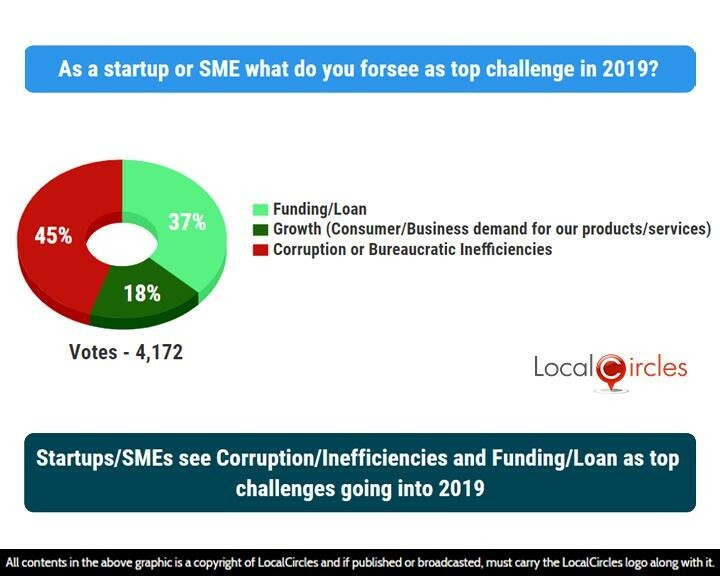 In the next poll, startups and SMEs were asked what they foresee as the top challenge in 2019. 37% said loans & funding, while 45% said corruption or bureaucratic inefficiencies. 18% said business growth will be the biggest challenge. Angel Tax is one area that falls under corruption and bureaucratic inefficiencies as it takes the focus of startup entrepreneurs away from building a product or service to responding to tax notices and filing appeals, something that startups can clearly do without. Last year, 22% had said that getting funding/loan was a major issue while 26% said growth was a challenge. 52% had said they felt corruption or bureaucratic inefficiencies would be a major hurdle going into the next year. With the Startup India Mission promising the world to startups, the policies are still struggling to accommodate innovative and out-of-the-box ideas. Although the Government has put in a lot of efforts in this area, they have still clearly fallen short somewhere. 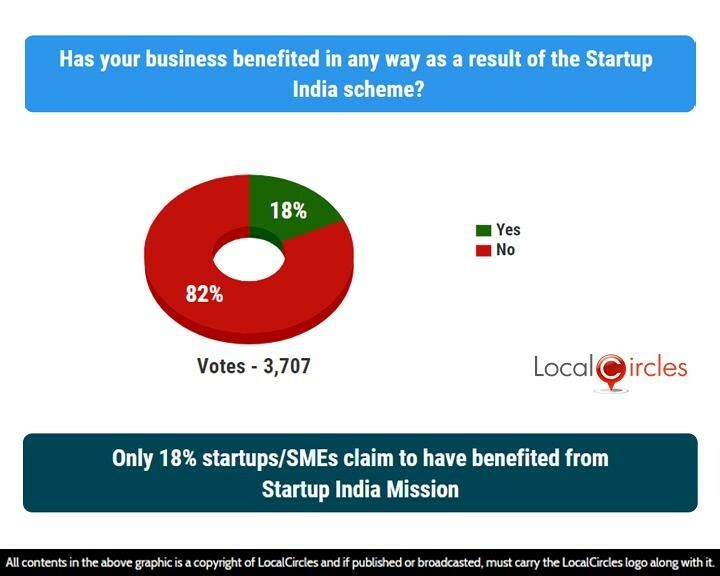 Only 18% startups and SMEs in the next poll claimed to have benefitted from the Startup India Mission. 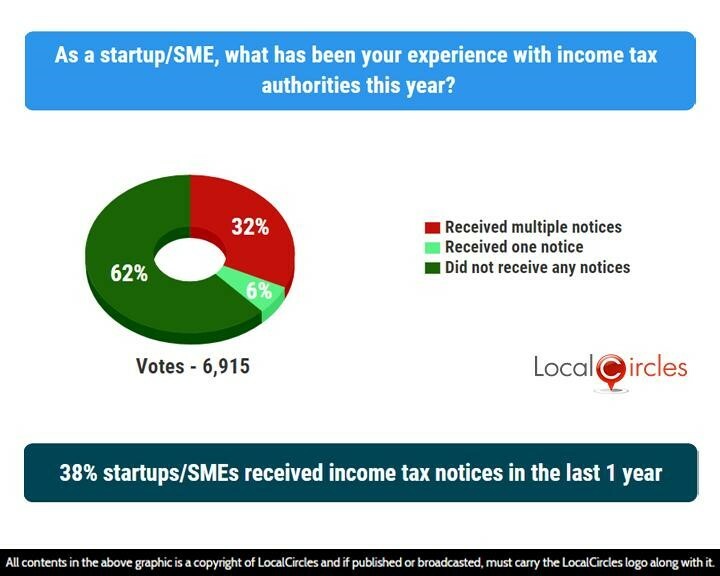 This means that a huge 82% startups/SMEs felt that they did not receive any benefit from the highly publicised scheme. 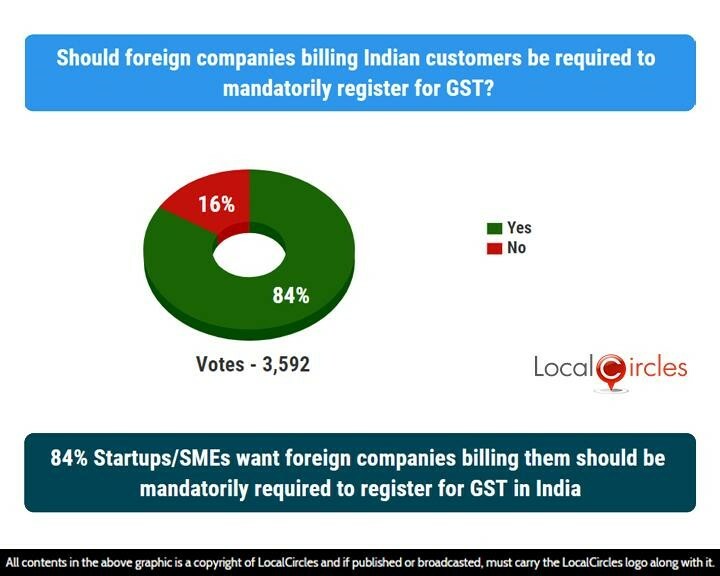 When asked if foreign companies billing Indian customers should be required to mandatorily register for GST, 84% respondents answered in a ‘yes’ and 16% answered in a ‘no’. Startups face a real challenge with this as they have to not only pay the foreign company invoice but on top of that deposit equalization levy on their behalf of approximately 6%. As a result, the startups not only face increased cost but also compliance cost. Companies like Facebook, Twitter, etc which startups use for advertising and promotions are classic examples of this and these companies must be required to bill from their India based entities. 76% also said that startups and SMEs should be exempted from GST under Reverse Charge for services procured from abroad. Only 24% said the exemption should not be given. Early stage startups with little or no revenue are at a disadvantage by being in India as they must pay 18% GST under reverse charge and are unable to take input tax credit for such payments. For startups, many of the specialised services and products in the technology domain are supplied from overseas suppliers. 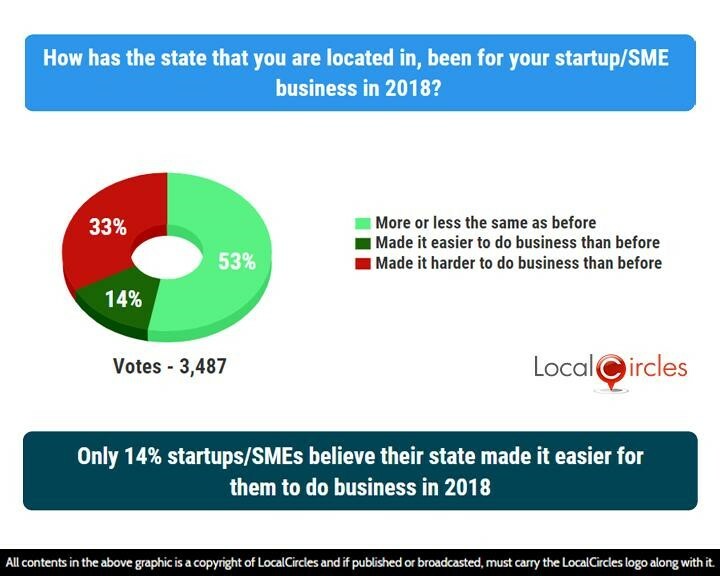 The next question asked how the state they are located in, been for their startup/SME business in 2018. 53% said it has been more or less the same as before, 14% said their state has made it easier to do business than before. 33% said their state has, in turn, made it harder for them to do business than before. 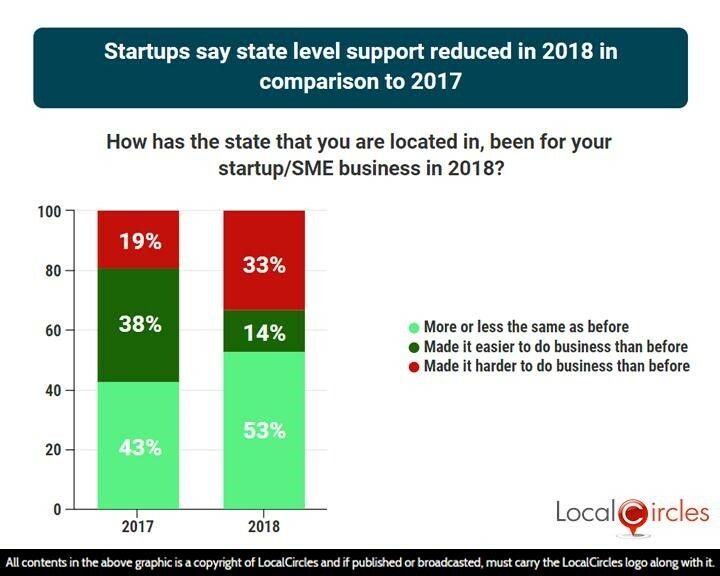 This shows a steep decline from last year where 37% startups and SMEs had said that their state had made it easier for them to do business than before. After shaking the entire ecosystem in the early phase, GST seems to have settled down now and is proving to be an effective system, especially for startups and SMEs. Many founders had initially reported that they had been spending an extraordinary amount of time and resources towards implementing the new GST system at their workplace. 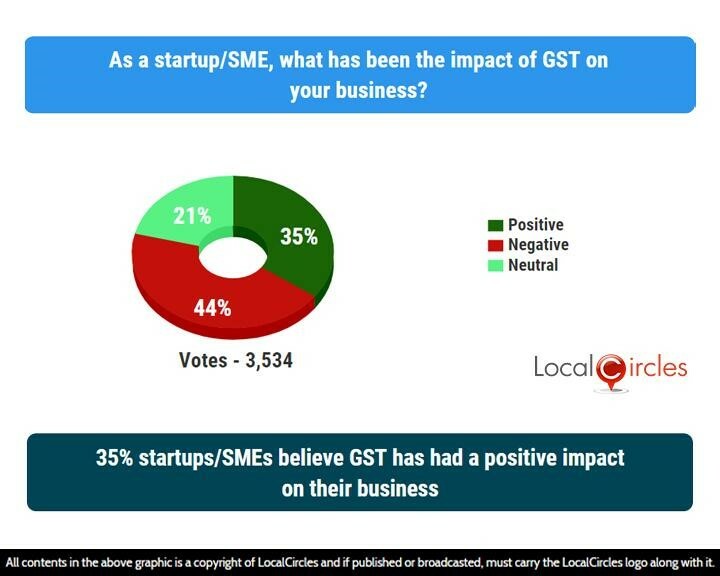 35% startups/SMEs have now said that GST has had a positive effect on their business while 44% felt it has had a negative effect. 21% were unsure about it. The penultimate question asked what they would ideally want to do with their startup/SME business in 2019. 71% said they would like to grow it, 5% said they would sell it and 24% said they would close it down. The data shows that the optimism of the startup founders has taken a bump over the last few quarters. 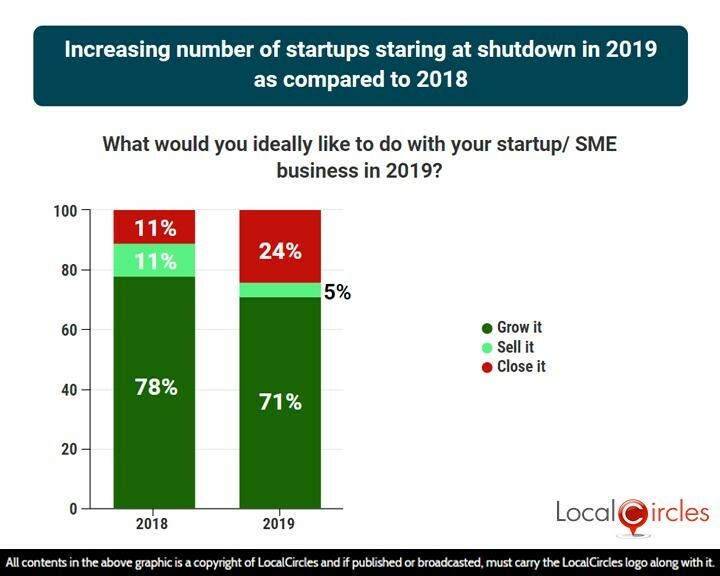 Last year, only 11% had said that they would like to close their business in the coming year and 78% had said they would like to grow it. Both the numbers have been negatively impacted in this year’s survey pointing to major concerns. On the workforce growth front, the scene looks positive with the majority of startups and SMEs are looking to hire talent in the coming year. 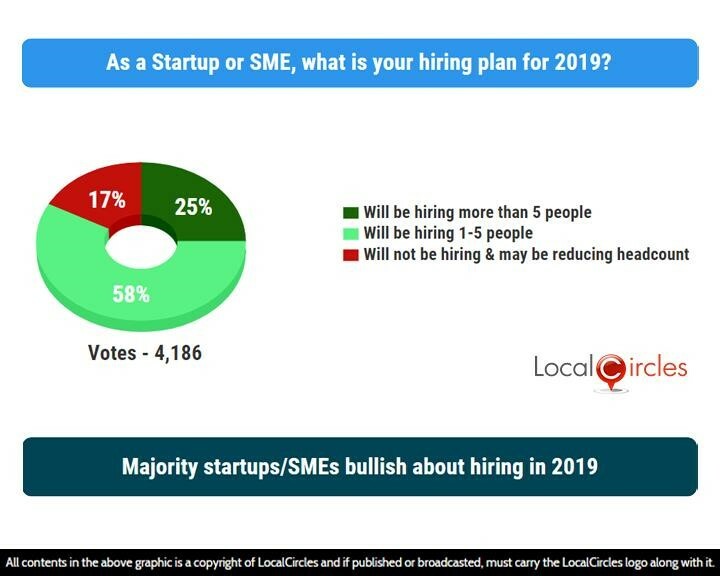 The final question asked as a startup or SME, what there hiring plan was for 2019. 58% said they will be hiring 1-5 people while 25% said they will be hiring more than 5 people. 17% said they will, in turn, be reducing headcount. 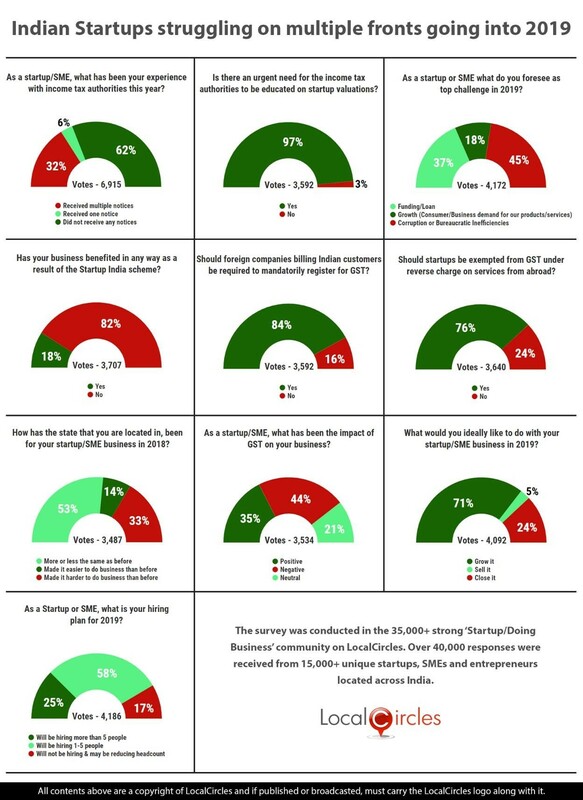 When the ease of doing business rating of India seems to be improving every year and the Startup India Mission promising an inclusive environment for startups, some of the hiccups outlined in this report and policy hurdles are proving to be a speed bump in the highway for startups in India. The India startup and SME ecosystem, with all its fingers crossed, is hoping that the coming year would be better and brighter with more Government support especially in matters like angel tax. Given the current unemployment situation, it is India’s startups, SMEs and entrepreneurs that are the hope of the nation for creating economic growth and prosperity. 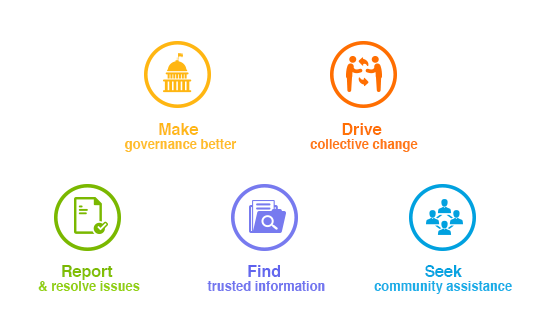 Hope the Government will take their issues seriously and enable and empower them in 2019! The survey was conducted in the 35,000+ strong ‘Startup/Doing Business’ community on LocalCircles. Over 40,000 responses were received from 15,000+ unique startups, SMEs and entrepreneurs located across India.